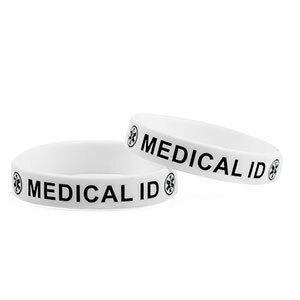 White silicone band with the words Medical ID embossed on bracelet. Fits smaller wrist up to 6 inch. Slide on plastic pieces SDH1000 thru 1004 available as add ons. Just pull silicone tight and add pieces to the bracelet.